In the previous post, various popular PCB inspection techniques were discussed. PCB testing is the next phase of the PCB manufacturing, after PCB inspection. Once the PCB undergoes inspection, it is considered ready for testing. There are various testing methods used by PCB manufacturers to analyze the working condition of components. What are they? The post discusses these methods in detail. There are several methods in use today, which allow PCB manufacturers to test the validity of components and the PCB. The following are some proven and tested methods employed by PCB manufacturers across the globe. In-circuit Testing:Also referred to as ICT, this testing mainly performed to check the component placement. An electric probe is used over a populated printed circuit board to check factors like opens and shorts, capacitance, resistance, etc. In-circuit testing comprises several individual tests, which are conducted on components. The board is considered to be perfect, if it clears all these individual tests. Functional Testing: This is a final step in the PCB manufacturing. Functional testing simulates the real environment in which the PCB is expected to perform. Hot Mock Up testing is one of the most popular forms of functional testing, which is conducted to analyze the functioning of the PCB. This testing is often used in combination with flying probe testing and ICT to ensure the PCBA is error-free and robust. Boundary Scan Testing: This testing is performed for testing wire lines on a populated printed circuit board. It is also used to analyze pin states in integrated circuits, as well as to measure and analyze its shocks. Flying Probe Testing: It is also referred to as Fixtureless in-circuit testing (FICT), and is employed for identifying accessibility problems. This testing is ideal for testing prototypes, and mid-volume types. This testing is usually conducted using a bed-of-nails fixture, which can be easily modified on the basis of the PCBA design. Tin Whisker Testing: Tin is the popular finishing material used by PCB manufacturers. This material grows into whiskers, which may conduct electricity, and affect the operation of the application. Typically, these whiskers are corrected using conformal coating, or tin finishing is replaced with metal. Optical Microscopy Testing: This testing method is used for detecting defects, faults, as well as several other problems in PCB assembly. Optical Microscopy Testing is conducted using a high power microscope. Each component is divided into several micro-sections and tested under the microscope. This technique is often combined with micro-sectioning to ensure the valid performance of the sample. Metallographic Preparation: The method is also known as cross-sectioning or micro-sectioning analysis. The cross sectioning is conducted to investigate components, shorts, or opens, thermo-mechanical failures, etc. During testing, the solder joint internals are analyzed. A 2D section is removed from the PCB, and placed in an epoxy resin. When it solidifies, the component is receded and exposed. Abrasives are used for receding. The exposed component is compared with other non-faulty components, and is examined using an electron/optical microscopy. Burn-in Testing: The testing helps PCB assembly services validate the performance of PCB in real-life environments. PCB Contamination Testing: Although PCB manufacturing and assembly takes place in the controlled environment, still the chances of contamination is high from various identified and non-identified sources. Flux residues, improper handling of PCBs, and a reaction of chemicals are a few common sources of contamination. During the process, a PCB is immersed in a solution and left for a certain time period. The constitution of the solvent changes due to the presence of ionic contaminants. 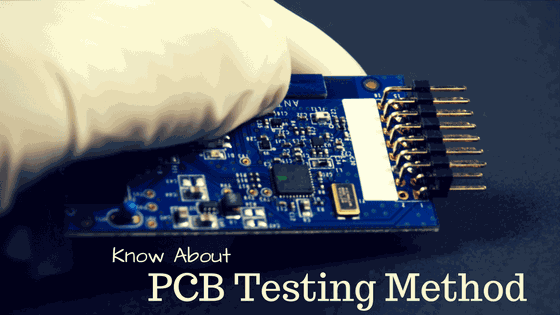 Each of the above mentioned PCB testing processes have typical benefits. You can contact the manufacturer to understand various benefits of the testing process. Sierra Assembly is one of the well-known PCB assembly service providers in the US. The company employs various PCB inspection and testing services discussed in the posts.